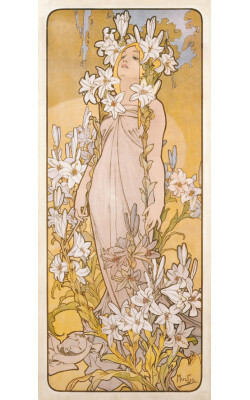 For this cycle, Mucha selected a more naturalistic approach, demonstrating his sensitive and attentive observation skills in rendering the flowers’ characteristics. 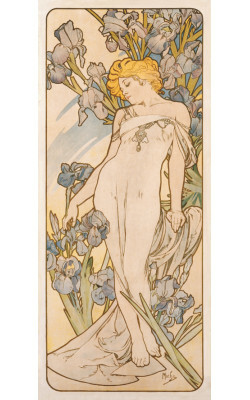 The original watercolours of two of the flowers, Carnation and Iris, were presented at the Mucha Exhibition in Salon de Cent in June 1897, however, the entire cycle was not available until the following year. 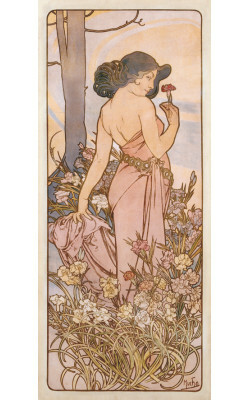 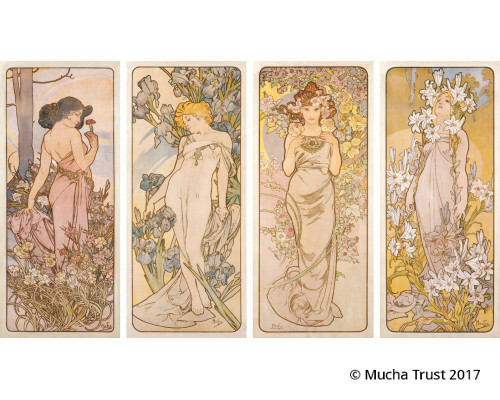 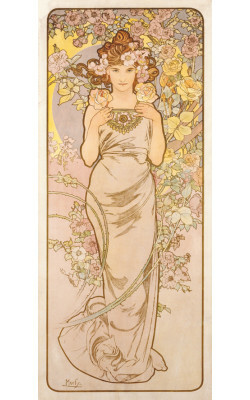 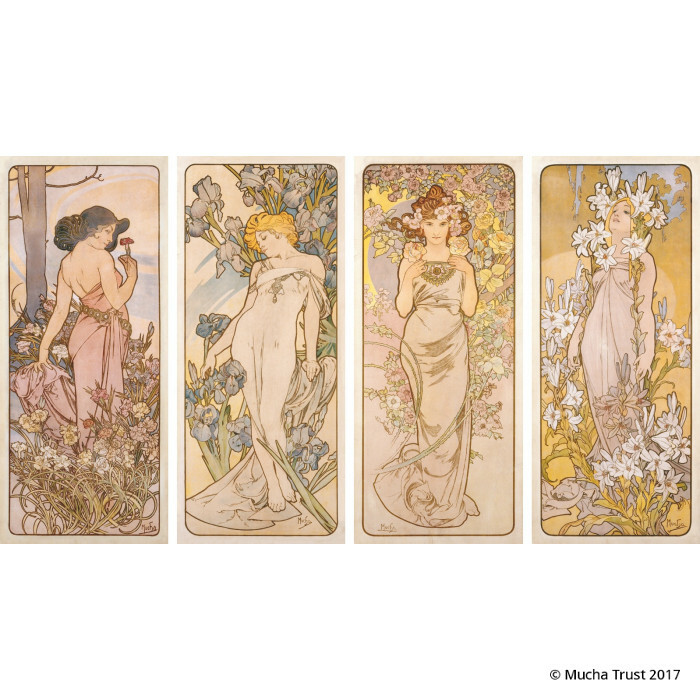 For this cycle, Mucha selected a more naturalistic approach, demonstrating his sensitive and attenti..